Aircel Offers 100% Free Access To Wikipedia Through ‘Wikipedia Zero’! 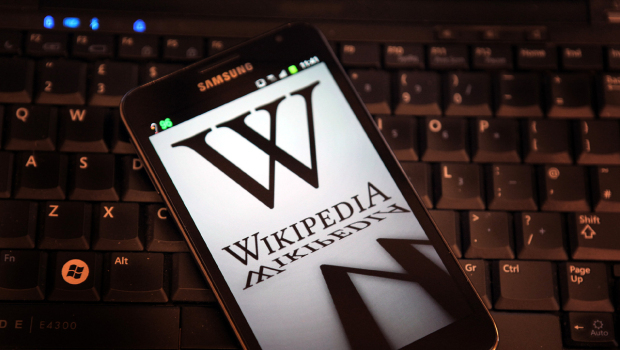 Aircel and the Wikimedia Foundation today announced a partnership to offer Wikipedia on mobile phones without any data charges to Aircel customers . The alliance is aimed at making knowledge available on Wikipedia accessible to all Aircel customers in both rural and urban areas for free. This is the first service of its kind to formally launch in India. This partnership is part of the Wikimedia Foundation’s Wikipedia Zero program, which focuses on reaching the billions of people around the world whose primary opportunity to access the internet is via a mobile device. This partnership between Aircel and the Wikimedia Foundation will help provide Wikipedia to 60 million new users in the region. Anupam Vasudev, Chief Marketing Officer for Aircel, said, “Through our alliance with the Wikimedia Foundation, Aircel is not only making internet services reach a wider audience, but also help encourage and enrich the lives of our customers by offering access to knowledge and information free of cost. We are excited about this partnership and hope this initiative will benefit all our customers from various age groups”. Aircel customers will be able to access versions of Wikipedia in English, Hindi, Tamil, and 17 other Indic languages. Aircel is a young, data led telecom player and has been continuously innovating products and services to offer convenience to its young customers. The company has recently introduced various noteworthy data products like Pocket Internet Smart and the recent one being Pocket Internet 24, which offers internet at less than 1 rupee a day. Therefore, Aircel aims to empower and inspire the youth by enhancing their data experience. San Francisco, California and New Delhi, India, — July 25, 2013: Aircel and the Wikimedia Foundation today announced a partnership to offerWikipedia on mobile phones without any data charges to Aircel customers. The alliance is aimed at making knowledge available on Wikipedia accessible to all Aircel customers in both rural and urban areas for free. This is the first service of its kind to formally launch in India. This partnership is part of the Wikimedia Foundation’sWikipedia Zero program, which focuses on reaching the billions of people around the world whose primary opportunity to access the internet is via a mobile device. This partnership between Aircel and the Wikimedia Foundation will help provide Wikipedia to 60 million new users in the region. Anupam Vasudev, Chief Marketing Officer for Aircel, said,“Through our alliance with the Wikimedia Foundation, Aircel is not only making internet services reach a wider audience, but also help encourage and enrich the lives of our customers by offering access to knowledge and information free of cost. We are excited about this partnership and hope this initiative will benefit all our customers from various age groups”. Digital Television Services Vs On-Demand Entertainment!